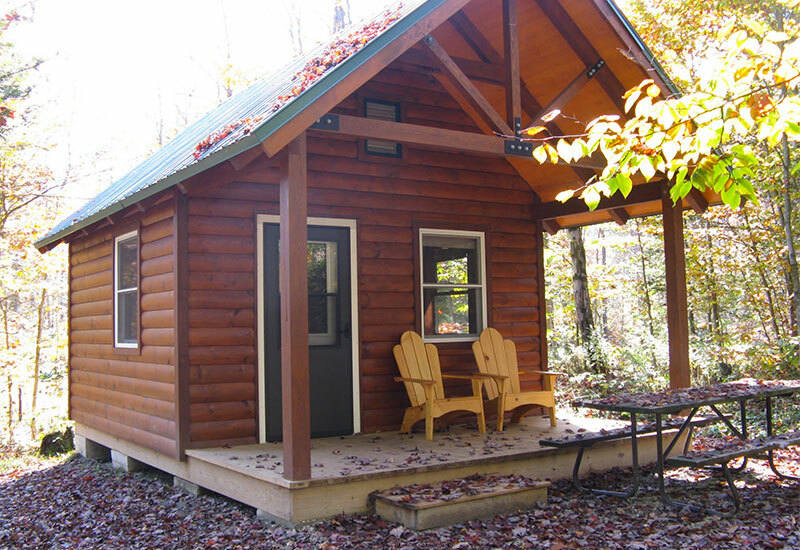 Our cabins are cozy one-room units that sleep four people comfortably. All cabins are constructed with the same layout, using native materials. Amenities include bunk beds and a futon or sleeper couch (linens, blankets, and towels not included) a table and two chairs, overhead light and an electric outlet. There is also a covered front porch, picnic table and a fire ring with cooking grate. Cooking is done outside (bring your own cookware). Bathrooms and showers are located within easy walking distance. Starting in 2018, the following cabins will be pet-friendly: Raven Cabin, Brighton; Savage Cabin, Burton Island; Sedge Cabin, Button Bay; Moose Cabin, Gifford Woods; Mansfield Cabin, Grand Isle; Dragonfly Cabin, Half Moon Pond; Bear Cabin, Little River; Knox Mountain, Ricker Pond; Otter Cabin, Wilgus, Lady Slipper Cabin, Woodford, both cabins at Lake Carmi. Notes: Short walk to waterfront on beautiful Spectacle Pond. 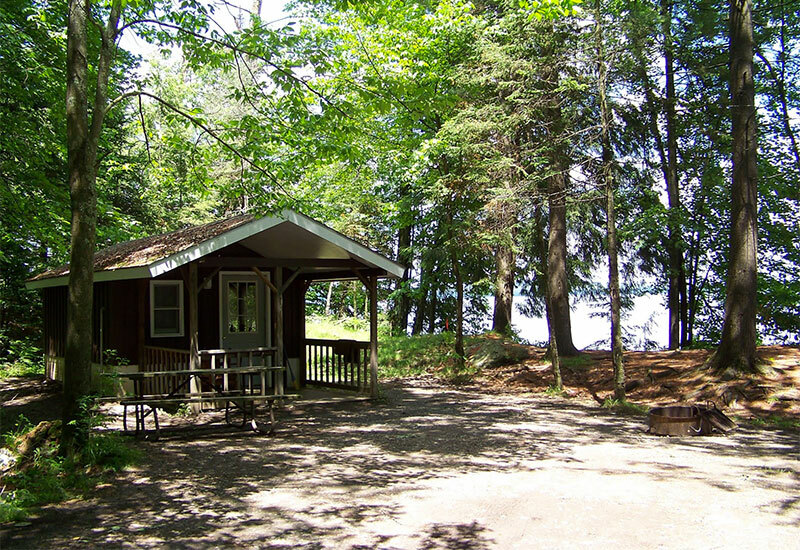 Nature programs, boat rentals, hiking trails and access to day use area on Island Pond. Listen to loons calling from your cabin. Notes: Lake Champlain views and easy water access; online reservations not available. Notes: Sweeping views of Lake Champlain. Access to nature center and nature programs. Access to pool, playground and boat rentals and excellent fishing. Notes: Not a lakeside location; Cabins on wooded sites in mature forest. There is boating and fishing walking distance at Kent Pond. Many scenic hiking trails, including access to Long Trail/Appalachian Trail. Notes: Located on Lake Champlain. Most cabins are on the waterfront or have water views. 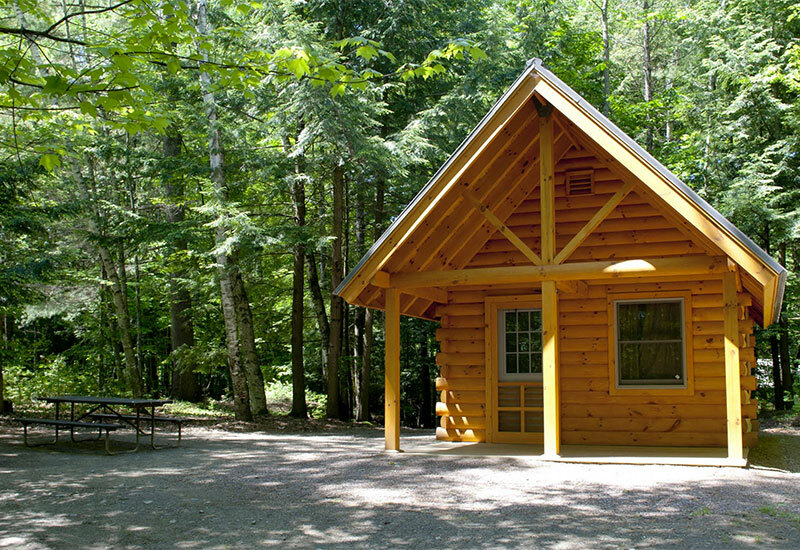 Access to nature center and nature programs, boat rentals, playground and campers' beach. Notes: All cabins have water views and easy water access to the small yet charming Half Moon Pond; Two cabins are on the waterfront. Fishing and boat rentals available. 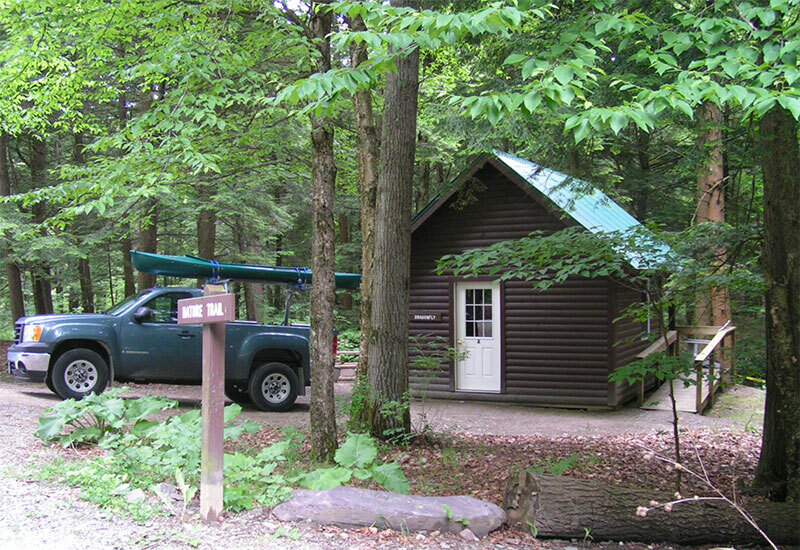 Nature programs available at nearby Bomoseen State Park. Notes: Both cabins are on the waterfront and are pet-friendly. The park offers a large day use area for swimming, fishing and boating. Boat rentals are available. Hiking and biking are popular activities. 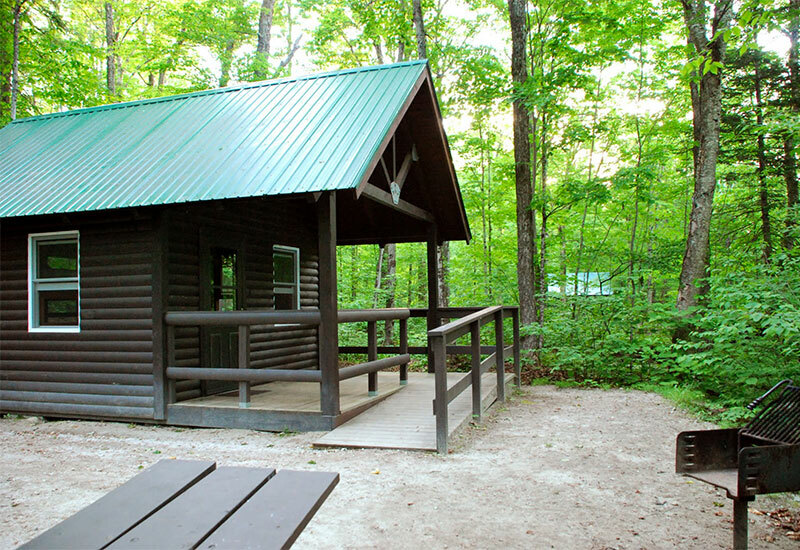 Notes: All cabins are on wooded sites; easy walking distance to waterfront. The park offers swimming, fishing, boat rentals, nature programs, mountain biking and great hiking. 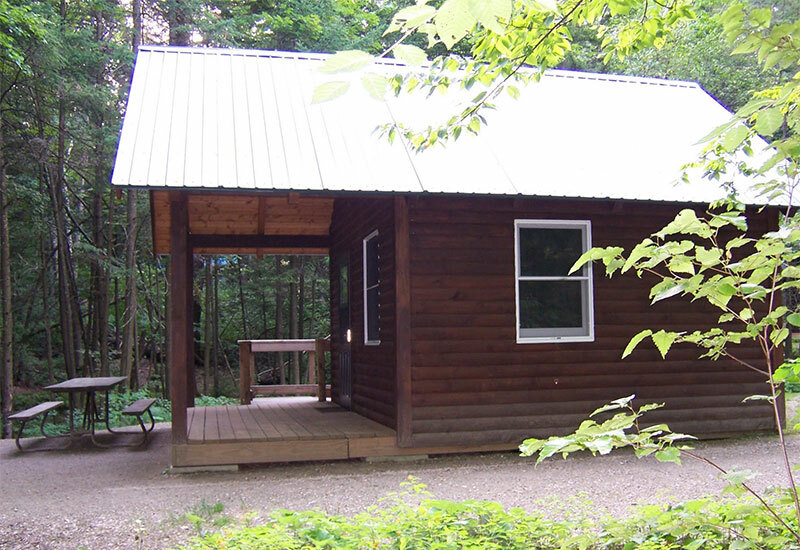 Notes: All cabins are on wooded sites; 2 cabins with water views. Listen to the loons at Ricker Pond. The park also offers swimming, fishing, boat rentals and access to all other parks in the 26,000-acre Groton State Forest. Notes: All cabins have water views and easy access to the Connecticut River. Enjoy excellent fishing and paddling. Connecticut River trips available. Hiking available at nearby Mt. Ascutney State Park. 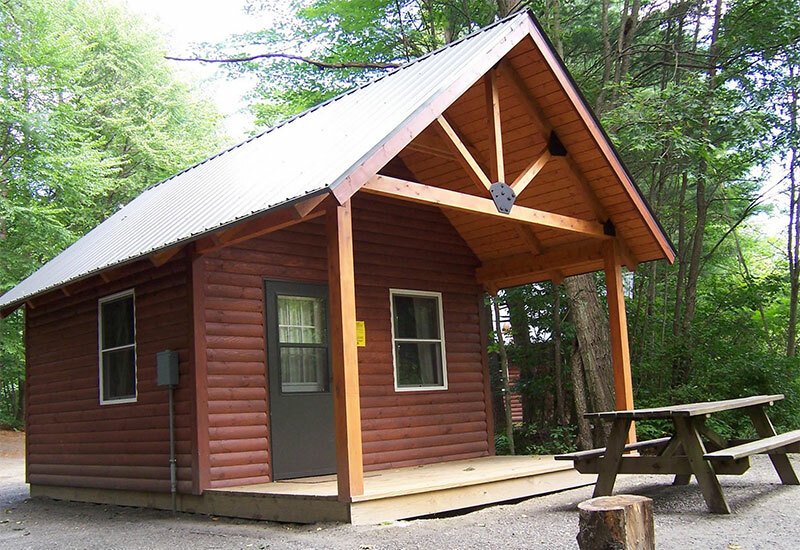 Notes: All cabins on wooded sites; walking distance to water. This park is in a mountain setting with fishing, boating, hiking and swimming. If you love listening to birds, this park's for you! 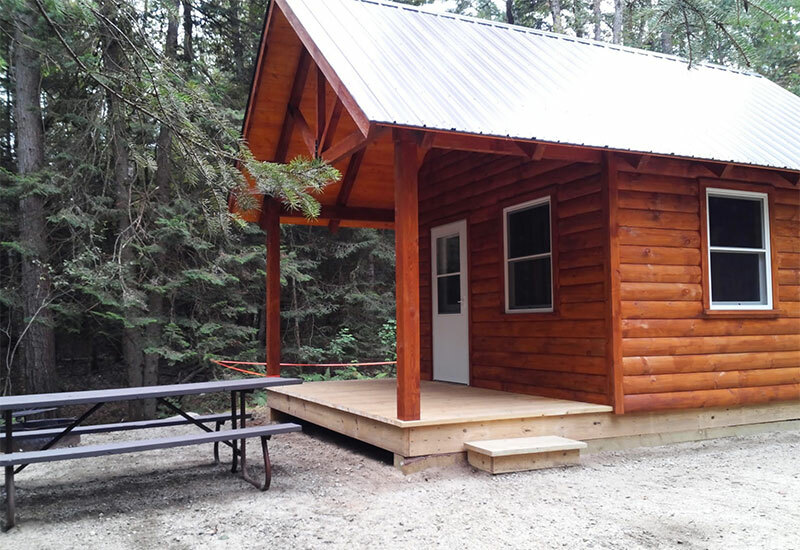 Cabins may be reserved up to eleven months in advance by either reserving online or by calling the Reservation Call Center at 1-888-409-7579 (Mon-Fri, 9am-4pm). 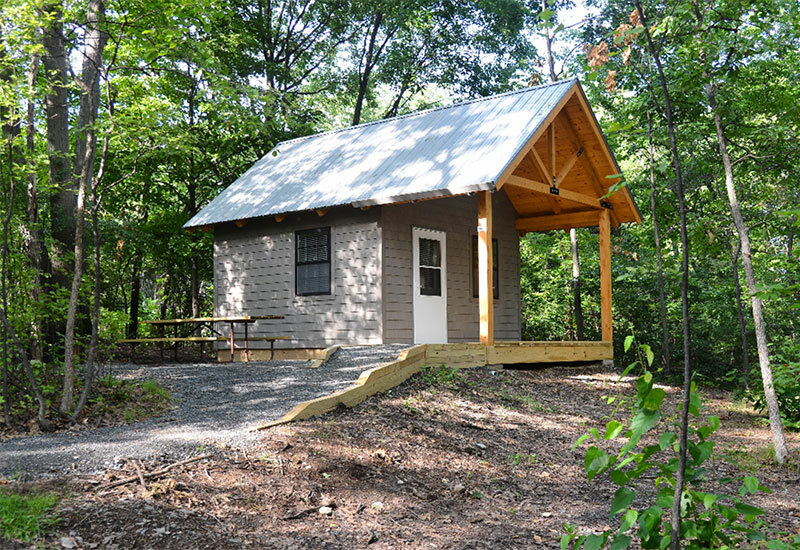 Cabins are popular, so reserve early! Pets are permitted in designated cabins only beginning in 2018. 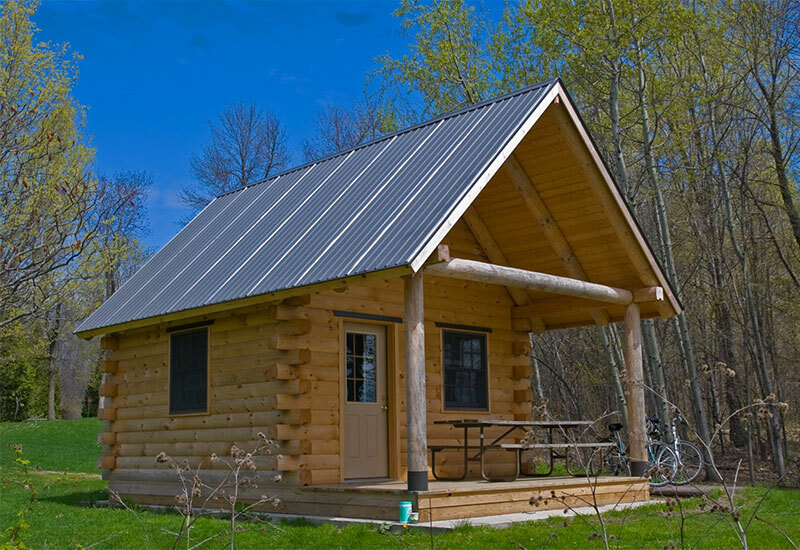 For full listing of pet-friendly cabins, see above. If you cancel your reservation prior to 2pm on the day before your expected arrival date, you are entitled to a refund of all fees except a $10 cancellation fee and your non-refundable $7 reservation fee paid, per site. If at the time of cancellation, you rebook for another date for the same number of nights in the current operating season, you won't lose the $7 reservation fee or the $10 cancellation fee. If you cancel after 2:00 p.m. on the day before your expected arrival date, or, if you come camping and need to leave prior to the end of your stay, you can receive a refund for the unused portion (except for the required minimum), per site, if you notify the park staff before departing. No refunds will be issued for an unused portion of the required minimum reservation period. If you are charged for the minimum number of nights that were in effect when you made your reservation, then the cancellation fee will not be charged.